How to think about and plan the ideal online brand profile. What is a Reverse Wikipedia Strategy? 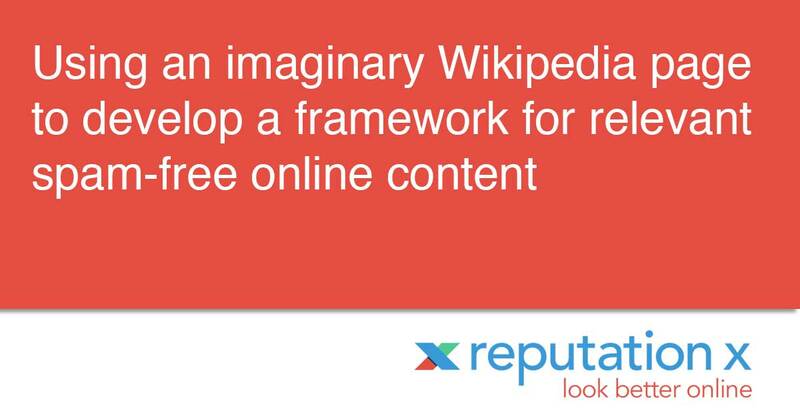 The Reverse Wikipedia Strategy is a framework to improve a brands' online content by imagining what an ideal Wikipedia page may look like in a year or more. It's an exercise for strategists and content creators to think about the best possible branded content. In it you imagine the sections a fictional Wikipedia page may have, what's in those sections, and most importantly - the references (existing or not) that would support the Wikipedia page if it were real. This forms the basis for content that withstands the smell-test. The end result is a highly relevant content plan free of web spam. The Reverse Wikipedia Strategy has four parts. Each part is associated with an aspect of a real Wikipedia page. Most every Wikipedia starts with a summary or background. For example, look at Steve Jobs' page here. The summary is an overview of the article. The story of the brand, told in encyclopedic fashion, should be told here. Later, sections will support the most relevant themes contained in the summary. and others. These are all important aspects of the overall story. When executing a Reverse Wikipedia ORM Strategy the sections are important because they will later inform the content to either be created, or caused to be created. They are the sub-themes within the brand story. Each section dives deeper into the topic covered. Details and references with links to other Wikipedia pages or third-party sites support the claims within. Every Wikipedia page is supported by references as to its notability. These references must be trustworthy and non-promotional. References are often called "citations". References become the milestones a brands' reputation campaign executes. Put another way - the references in the imaginary Wiki page are used as a guide for outreach and PR specialists to use to build a positive online presence for the brand. 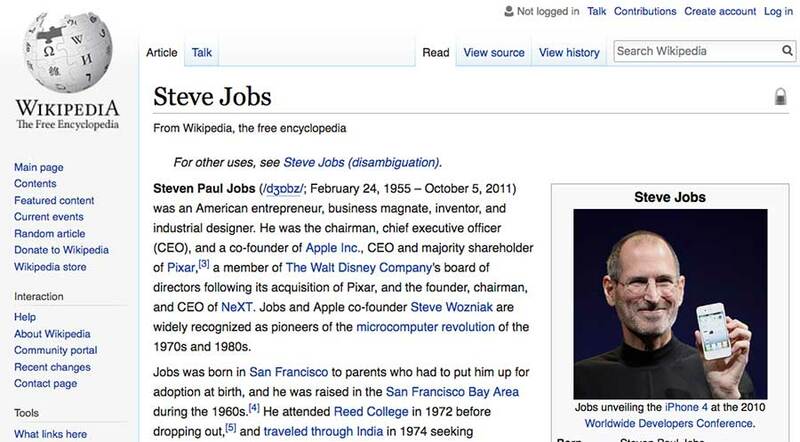 Similar people, companies, products, or services should already have a Wikipedia page. At the bottom of the page are citations / references. A good way of finding future publications for the RWOS is to borrow them from existing Wikipedia pages of similar brands. How does this help with ORM strategy? At Reputation X we use the RWOS for online reputation management (ORM). Online reputation management can improve or even re-engineer how a brand is seen online. By imagining, and even developing, a future Wikipedia page, our Strategists are forced to think about the online content that would best support the brand in the long-run. The content must meet reliability guidelines and stand the test of Wikipedia editors scrutiny. It insures a high quality online brand that fits an overall theme is created during a reputation management campaign. The RWOS provides a vision of the brand the entire team can get behind. It uses an imaginary / future Wikipedia page as a vehicle for understanding and envisioning what the brand could be, as well as how that vision can be reflected online. It helps everyone get on the same page. When improving or changing the online reputation of a brand, one of the first questions to be asked is "what will the future story be?". During a reputation repair campaign the brand manager usually just wants negative online content to be magically gone. But it's important to replace unflattering online content with something better. That's where envisioning a better story in the form of an idealized (but reasonable) Wikipedia page comes in. Wikipedia contains encyclopedic pages that cover a topic comprehensively and references relevant and reliable source material. It's designed to be helpful, clear, and to provide the reader with satisfaction in a non-promotional way. The story a Wikipedia page tells must adhere to Wikipedia's policies. That means that claims made must reference citations. For a brand reputation strategist this means reference articles must verify the claims made in the page from reliable third-parties. The references must be true, verifiable, and credible. The most credible third-party content is from a trusted publication. For example, a Forbes article would be a more credible reference for the Wikipedia page of a financial services firm than someones personal blog would be. Want your content to perform better in search results? Try to get your brand name into the headline of articles written about it. It's tough to do, but worth it when you can. 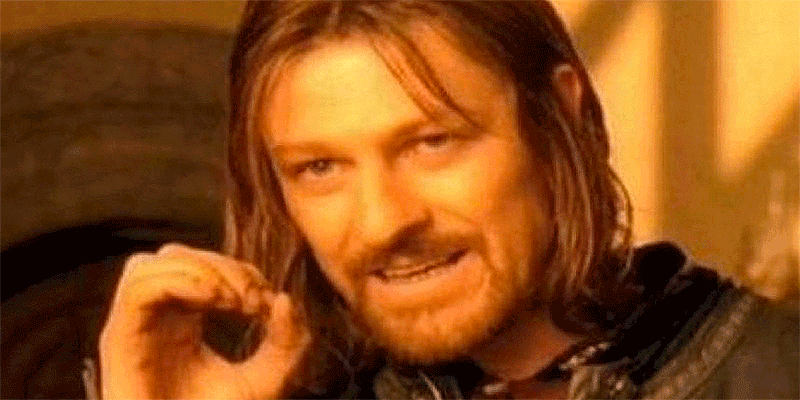 To badly paraphrase Boromir from the Lord of the Rings, "One does not simply write a Wikipedia page". The RWOS doesn't always end as a Wikipedia page because that's not the point. The point is to visualize and structure future content that supports a positive brand image. At this point there is no Wikipedia page. But chances are the stories that support the future brand vision have begun to appear online, and in higher visibility places. A Wikipedia page is an option now. You'll know the content seeding process has been done well if the content you caused to create begins to appear in an existing Wikipedia page, is shared naturally, and/or linked to. Using the financial services firm example, a successful placement of a Forbes article by a contributor or staff writer that is relevant to the brand might be added naturally to an existing Wikipedia page. If this happens organically (you don't do it) then you know it's working. But even if it doesn't, the content is likely to show up in search results. At this point yo may influence the creation of a Wikipedia page (or edit an existing one) using that information. Perhaps someone else will. Whether a real page ever comes to light isn't as important as the fact that the RWOS has helped generate a cogent, true, and reputationally positive online content environment. At this point boosting positive brand reputation through the use of search engine optimization and other online marketing tactics will truly bear fruit - transforming the way a brand is perceived online.